I have always loved custom T shirts. When I was in high school and college and played sports, we used to always get custom T shirts made. 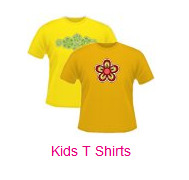 Custom T shirts are common in school, especially in major activities and clubs. Thankfully, custom T shirts are affordable and quick. Now that I’m older I love to order custom T shirts for gifts and family outings. They are also great for company marketing, group outings, and giveaways. I have been lucky enough to review a Custom T-Shirt from T-shirtprinting.net. 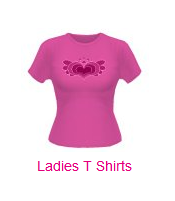 Before I even received my custom T-shirt I checked out their website. I love that they do more than just t-shirts. 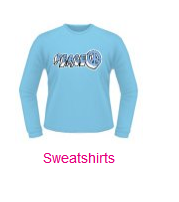 They can customize sweatshirts, hoodies, kids shirts, and vests. I love that the T-shirt I received is made out of comfortable durable cotton. The actual printed picture is of a monkey and the website name. The print is very neat, clear and does not have any cracks in it. It’s been through the wash already and it still looks like new! Remember these are custom T shirts so you can be as creative as you want. 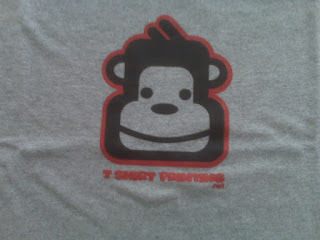 I totally recommend tshirtingprinting.net for all your custom printing needs. The customer service is also great; they really care about their products and their customers. If you check out their website you can even request a free catalog! So please check out their website and see what custom product will work for you! I want to thank tshirtprinting.net for allowing me to reveiw their great product and for their great customer service! New follower (Will look for you on Twitter too)- Custom t-shirts are unique which makes them fun. I will have to check out the site! Clicked on your Twitter icon and it says the page doesn't exist. You can follow me though and I'll follow back. @Chana: Thank you for visiting and following. I am now following you back! @Clayton: Thank you for stopping by. I just added my twitter button. Thanks for testing it out for me. I will be working on getting it fixed. I am now following you on twitter! I have also checked out your blog, it is great. My son is 2 right now and we are dealing with some toddler tantrums right now, you have a lot of good advice! I am going to check out the site. I love t-shirts.